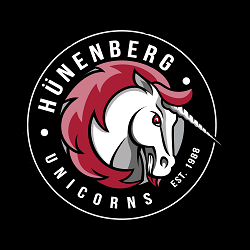 Facing off against the Romanshorn Pirates, the number 1 seed from Group 2, the Unicorns demonstrated they can play with anyone in NLB. Although the Unicorns fell to the Pirates, 2 games to 1, the Unicorns battled to the last out, falling in the bottom of the 9th of game three with the tying run at the plate. The Unicorns started the series with a bang. The Unicorns roughed up Pirates pitching in the first game scoring 14 runs on 9 hits. Josh McMorrow led the way with a 4 for 4 performance including two 2Bs and 7 RBIs. Benny Raeber scored 4 runs and stole 6 bases. Martin Schmidt scored 3 runs. Kieran Brot had 2 Runs and 2 RBIs. Steven Murphey had 2 hits, one of which was a 2 run home run to give the Unicorns the lead in the 4th inning. Kieran pitched a complete game victory, 7 innings, striking out 2 and only walking 1 batter. The second game of the series was a pitching duel. The Pirates evened the series with a 6-1 victory. Romanshorn struck early with 2 home runs by slugger Jose Garcia Jover over their short centerfield fence. Other than those home runs, Michael Bini, pitched effectively, scattering 4 hits and 4 walks over 4 2/3 innings. Aiden Mitchell pitched a perfect final 1 1/3 innings, striking out two. Bini also recorded one of the Unicorns two hits. Benny Raeber got the Unicorns other hit in the game, stole a base, and scored the Unicorns lone run. The Pirates pitchers and a large strike zone combined to stifle the Unicorns hitters throughout the afternoon. The third and deciding game was played at home in Hünenberg. 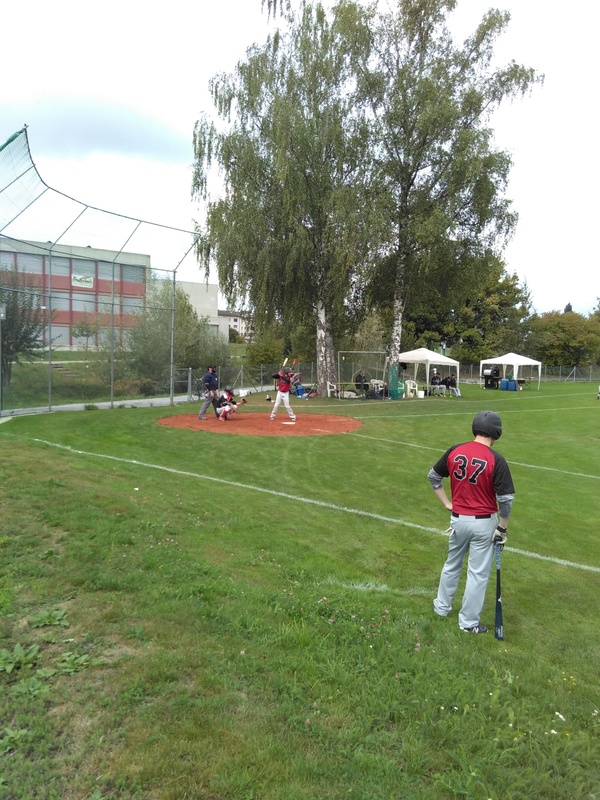 Though the Unicorns gave up 4 home runs to the Pirates in their laughably small field in Romanshorn, Kieran Brot shut down Pirates hitters for most of the day and kept the Pirates sluggers in the ball park. The Unicorns capitalized on walks from Pirates pitching and key hits from Aaron Mitchell and Michael Bini to jump out to an early 8-2 led. Benny Raeber once again led the charge for the Unicorns by getting on base often, scoring 2 runs, and stealing 2 bases on the day. 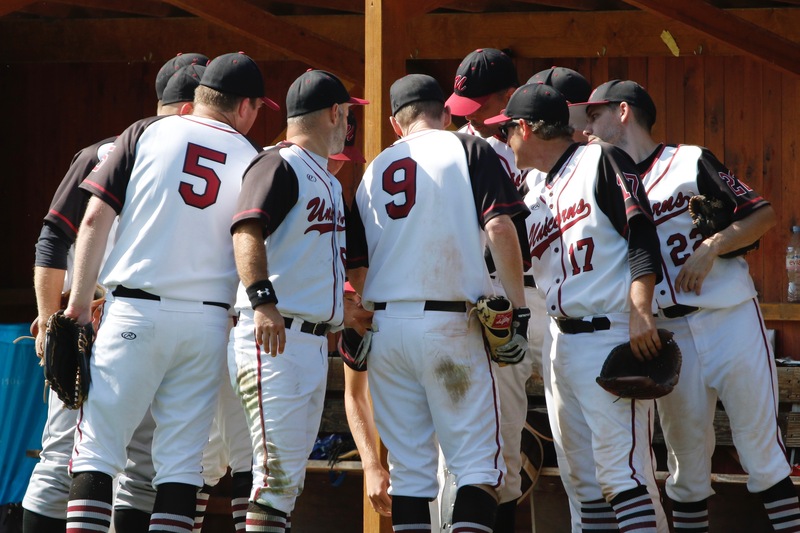 Unfortunately, errors and defensive miscues doomed the Unicorns as the game moved into the late innings. Kieran pitched a superb 9 inning complete game. However, multiple errors in the 5th inning led to multiple unearned runs and opened the door to a Pirates comeback. Down by 3 in the 9th inning, the Unicorns attempted to answer when Aiden Mitchell led off the inning with a hard shot to third that ricocheted off the third basemen. With one out, Aiden scored on a double by Dani Seiler. Unfortunately for the Unicorns, this was as close as they could get and the game ended with a Pirates victory 12-10. Despite a challenging season for the Unicorns and a disappointing first round exit in the playoffs, the season was filled with highlights. Benny Raeber led the NLB with at least 27 stolen bases. If other teams had learned how to fill in a scoring sheet properly (it’s not catcher indifference if the game is tied!!!) he surely would have had more. Benny also finished 6th in the league in Runs with 13 and had a .302 Batting Average. Marvin Müller led the team with a .314 Batting Average on the year and played very solid defense at catcher. Martin Schmidt was second on the team in Runs with 12 while hitting .281. Steven Murphey finished tied for 8th in the league with 7 extra base hits; hitting .455 in only 8 games. The season also featured the first career hits for Stefan Werkman, Alex Hovey, Aiden Mitchell, and Brian Hauck. Kieran Brot, Michael Bini, and Shaen Bernhardt pitched all but 2 innings for the club. Kieran led the team with 3 wins, 3 complete games, and 33 strikeouts in 41 innings, which was tied for 7th in the league. Shaen Bernhardt finished close behind Kieran with 24 Ks in only 29 innings. The team would like to thank the hard work of coaches Shaen Bernhardt and Michael Bini throughout the season. We also appreciate the support of our fans and sponsors. We are looking forward to the start of next season and hope you’ll join us again in 2019.